Malloy Esposito Crematory & Funeral Home. 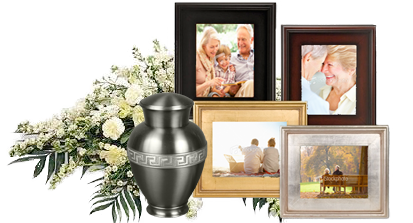 Affordable Cremations & Burials Westlake OH. Just a short commute from Westlake OH., on W 117th St., Malloy Esposito Crematory & Funeral Home has been helping Westlake residents save on final arrangements by providing affordable cremations & burials. For 36 years, area families, and veterans have come to us for affordable, sensitive and simple direct cremations and burials. We offer Westlake residents an affordable alternative to expensive traditional funerals by providing direct low cost cremations and burials. Westlake’s beginnings date back to October 10, 1810, when two families arrived by oxcart to set up homesteads in Township 7, Range 15, of the recently platted Connecticut Western Reserve. Joseph and Lydia Cahoon, Asahel and Rebecca Porter and their children and Rebecca's brother, Leverett Johnson, settled in the portion of the township that later became Bay Village. By 1811, Leverett began clearing land in what later became Westlake. He is considered Westlake's first pioneer. Others who settled in the Westlake portion of Dover in 1811 include Joseph Root, brothers Abner and Jonathon Smith and their wives (both named Rebecca), brothers James and Barnabas Hall, and Barnabas' wife Hannah and Noah and Betsey Crocker. All the married couples had children who accompanied them. These individuals and families led the way for many New Englanders who followed them. On November 14, 1811, Dover Township was incorporated and Westlake considers that the date of the city's founding. Other early families included Cooley, Clemens and Sperry. Many of today's streets are named for these and other early settlers. The pioneer homesteaders cleared the township’s dense forests to plant crops and provide pasture for raising horses, cattle and sheep. Water power from area creeks ran sawmills and gristmills. The area that is now the intersection of Dover Center and Center Ridge Roads was the geographical and historical center of activity. Located in this area was the Dover Blast Furnace, which made pig iron from bog ore and operated for more than 10 years until it burned down in 1844. Agriculture in Dover Township evolved into the raising of grain, small fruit and grapes. The Nickel Plate Railroad laid the first track and operated the first locomotive, which arrived in Dover in 1882. Toward the latter part of the 19th century, the township was the second largest shipping point for grapes in the United States. By 1900, Dover Township had a permanent population of 2,233 and an annual influx of people who owned cottages on Lake Erie. These summer residents decided they wanted their own community, and, in a bitter fight, they broke away from Dover Township to form the community of Bay Village, taking the railroad with them. In 1908, residents of the southern part of Dover Township also seceded and became part of North Olmsted. Because township residents were concerned that a township form of government was inherently unstable, the remaining 15.9 square mile area was incorporated as Dover Village in 1911. For the next three decades, Dover Village grew, with truck and fruit farming as the backbone of the rural village. During this time, the Clague family donated their home and land to the village for civic use and recreation, and Hilliard Boulevard was cut through farmland. Both projects were aided by laborers from the Works Progress Administration (WPA), a program launched during the Great Depression that provided work for the unemployed. In 1940, Dover was renamed the Village of Westlake to avoid confusion with another community in Ohio named Dover. As suburbs grew after World War II, Westlake became part of this population shift. By 1950, the population of the village stood at 4,912 – twice what it had been at the turn of the century. Ten years later, in 1960, it had jumped to 12,906, a 162 percent increase over 1950. This phenomenal growth rate led to an interest in planning to shape the future of Westlake, which became a city in 1957. During the early 1960s, city officials enacted the city’s first guide plan and municipal zoning ordinances. These plans separated industry to the northern parts of the city and set aside specific areas along principal streets for commercial activity and multifamily development. During the 1960s and 70s, the city saw the first contemporary winding subdivisions introduced, as well as the building of King James, its first office park. Interstate 90 was completed in 1976, linking the city with downtown Cleveland. By 1980, the population was 19,483. Soon after, Crocker Road was extended to Center Ridge Road, and Ranney Parkway was developed as an industrial and office park area. After five years of planning and two years of construction, St. John West Shore Hospital opened in 1981. It was later added onto and is now affiliated with University Hospitals and known as St. John Medical Center. By 1987 more than 10,000 people worked in Westlake and by 1990, 27,018 residents called the city home, some occupying new executive homes or new luxury apartments or condominiums, and others moving into well-maintained, existing housing stock. The period also included the opening of a new public library and a new post office. The early 1990s saw the construction of several new city facilities including a police station and two new fire stations, as well as the acquisition of a city golf course, now called Meadowood, and the opening of a new city-owned westside nature park off Bradley Road. The Promenade of Westlake shopping center brought a new array of shopping options to the west side of the city. In 1998, the city built an 80,000 square foot recreation center in the midst of an 86-acre park and in 2006 added 19,000 square feet to it. By 2000, the population of Westlake had reached 31,719 and it passed the 33,000 mark just five years later, with a comparable daytime population consisting of students, workers and retirees. In 2003, Porter Public Library expanded to 75,000 square feet, and a new city hall opened. That same year, Cleveland State University located its first ever satellite campus in Westlake and Cuyahoga Community College debuted its first Corporate College. The city's newly remodeled and enlarged center for seniors reopened in January 2004 with a new name: Westlake Center for Community Services. The largest development in the city's history, Crocker Park is a cutting-edge, mixed-use town center with retail, office and residential space. A part of Phase 1 opened in November 2004 adjacent to the Promenade, near the intersection of I-90, Crocker and Detroit Roads. When completed, it will consist of 1.7 million square feet of development including the already built Main Street with first floor shops and apartments and offices above. The civic core of the development is a median park with fountains, chess boards and areas for community events. By 2008, seventy percent of the original project was constructed or had final approval and the majority of the mixed use buildings containing retail, office and apartments had been constructed and occupied. In November 2007, voters approved an expansion of Crocker Park with another nearly 400,000 square feet of development planned for the land east of the Promenade Shopping Center. Ultimately, the project will contain 2.1 million square feet of development. For-sale housing continues to be constructed and sold inside the western perimeter of Crocker Park. A civic plaza and multi-purpose structure are planned as an additional venue for community events. Other major facilities developed in the last decade include: Hyland Software, which has renovated two existing corporate buildings and built a number of expansions to keep up with their explosive growth, Five Seasons Country Club, LACENTRE conference facility, Dave & Buster's, University Hospital Health System, Cleveland Clinic Lakewood Medical Center Phase Two, Premier Physicians Medical Office Building, Lutheran Home's Concord Reserve continuum of care campus, Westlake Service Center, Security Self Storage, Q-Lab, Crocker Corporate Center Office Building, and Paramount Tennis Club. In December 2008, Crocker Road was connected with Stearns Road in North Olmsted to provide a direct link between I-90 and I-480 and an easier way for Westlake residents and businesses to access the airport and Ohio Turnpike. In 2009, special design guidelines were incorporated for the Dover Village area of Westlake to build on the mid-century modern style of buildings in the center of town, and the city acquired additional open space there. In 2010, a study of the city's commercial and industrial areas and trade area began, which shows that the city's non-residential development is evenly divided between retail, office and industrial square footage. The city is also in the midst of updating its bike plan with the goal of making parts of the city more accessible and safe for pedestrians and cyclists. The year 2011 was a special one as it marked the bicentennial of Westlake's founding as Dover Township and the centennial of Dover's incorporation as a village. While the city celebrates, the careful growth continues with Nordson Corporation's new headquarters occupied in December 2010 and Phase I of Cuyahoga Community College's new Westshore Campus nearing completion. Work continues on Hospice House West and the relocation of a portion of Clemens Road. University Hospitals has announced a $100 million renovation of St. John Medical Center. With the passage of an $84 million levy by the voters of Westlake in 2010, the Westlake City Schools broke ground in 2011 on a new 230,000 square foot high school and a new 100,000 square foot middle school. The old middle school will be renovated into an intermediate school in 2012. Also planned are new and renovated elementary schools. Today Westlake continues to be a prestigious destination point for individuals as well as corporations. It is a special mix of open space and show-stopping homes, trees and office buildings, industry and community facilities. Once a premier farming settlement, it is now a thriving suburban community.